Janis Ian was catapulted into the spotlight in 1966 at the age of 15, when her soul-wrenching song "Society's Child" became a hit. An intimate portrait of an interracial relationship, "Society's Child" climbed the charts despite the fact that many radio stations across the country refused to play it because of its controversial subject matter. But this was only the beginning of a long and illustrious career. In this fascinating memoir of her more than 40 years in the music business, Ian chronicles how she did drugs with Jimi Hendrix, went shopping for Grammy clothes with Janis Joplin, and sang with Mel Tormé, all the while never ceasing to create unforgettable music. In 1975, Ian's legendary "At Seventeen" earned two Grammy awards and five nominations. Her next two albums brought her worldwide platinum hits. But after seven albums in as many years, she made a conscious decision to walk away from the often grueling music business. During this period, she struggled through a difficult marriage, which ended with her then husband's attempt to destroy her, and a sudden illness that very nearly cost her her life. The hiatus from music lasted for close to a decade until, in 1993, Ian returned with the release of the Grammy-nominated Breaking Silence. Now, as she moves gracefully into her fifth decade as a recording artist and writer, Ian continues to draw large audiences around the globe. 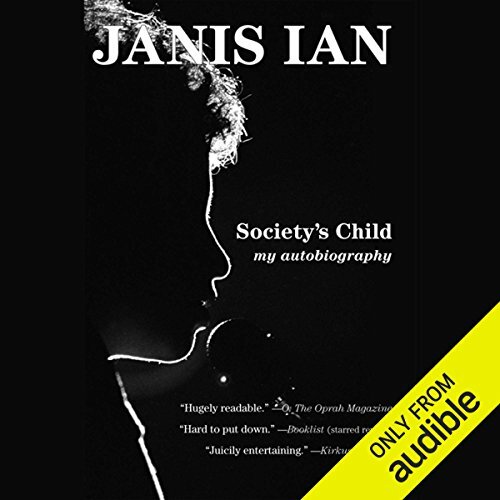 In Society's Child, Janis Ian provides a relentlessly honest account of the successes and failures - and the hopes and dreams - of an extraordinary life. 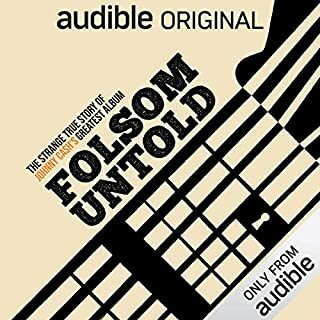 ©2008 Janis Ian (P)2012 Audible, Inc.
Like a lot of people, I was a bit surprised to learn this had beaten out some really famous and important works - - but after an hour, I know why. This story is like having the world's best coffee and donuts with your absolute best friend who is finally letting you in on all the secrets of her life. She's an amazing writer - - no kidding, just listen to her music. But just like that music, this is deeply personal, stunningly honest, painful and uplifting. Hearing this one, with Janis singing pieces of the story, allows you to be not a just a witness to her life, but a participant. Love this one. Oh my! What a book! Listening to Janis Ian narrate her autobiography punctuated with her singing her songsfelt like sitting in her living room while she told the story. As she sang, I was transported back to my own youth. 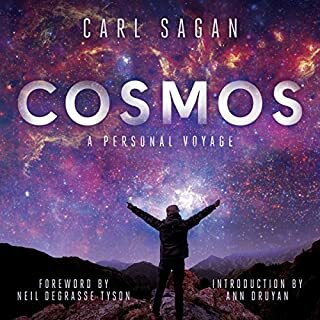 If you are a fan, this is a absolute must book to listen to. If you are not yet a fan, listen to this book and you'll become one. The minute I saw that Janis Ian had an autobiography out I bought it! Then I saw that she was also performing it, and that made me even more excited to start it. I've been a fan of hers for decades, even meeting her briefly after a concert at the Univ. of Arizona in 1977 or so. I've been learning a lot about her life before becoming famous with "Society's Child" and "At Seventeen", and she even sings snippets of her songs in this great audiobook. With the world of digital downloads, I've been able to buy some of her older releases and found out that she is coming to town in March! THIS is the way a great autobiography should be done--read and performed by the author. I loved her music as a teenager and love her music now. I was tickled to find this book here, and not even a bit disappointed. Loved every minute of it, and no one else could read it and do it justice. Brava! If you could sum up Society's Child in three words, what would they be? I liked the personal touches in this autobiography, especially the guitar playing and the singing. It was very entertaining. And you get to hang with Janis Joplin! This is not a book: It is an experience. If you have not heard about Janis Ian you will enjoy it if you like the 60's and 70's music scene. Ian's sexual oriontation does not take up too much space. You get the story bout the man wo attacted her. She is not advating gay rights: To her we who are hetrosexuals are the same. She does an amazing job when it comes to seeing PEOPLE rather than labels. It is worthy every award. This book I mean experience is perfect for a weekend night when you sta home but rather wish you had the bucks for a gig and yes: You will come back to this. T is a feel-good book unlike any other. When you are done you might wan to hear the music. On her website free tracks awaits. What does Janis Ian bring to the story that you wouldn’t experience if you just read the book? Well. It is not possible to read a show. When she was being drugged by a stranger in N.Y. 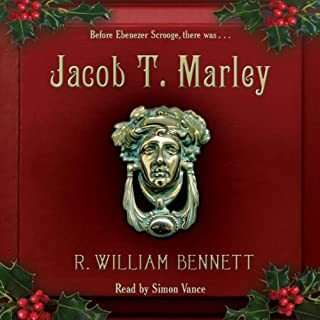 This is not my favorite book it is my favorite audio experience. Hopefylly this will be included in "How should I use my first credit?" Section. Fascinating story. Couldn't stop listening. I really didn't know much about Janis Ian or her music. I was familiar with a couple of her hits. I listened to this mainly because it got rave reviews from other listeners. This isn't the typical book I listen to on a regular basis. I am more the business book and self-help type but decided I wanted a break. Her story was extremely fascinating and provided a wonderful glimpse into what it is like to make it and not make it in the music world. She tells her story, and its a life with wild ups and downs, in such an open and honest way. She is a fantastic story teller/narrator, which makes sense as she is a singer songwriter. 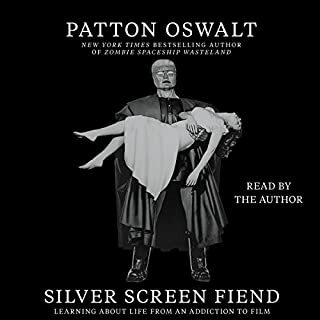 This has been one of my favorite audiobooks. Love the fact that in the audiobook you get to hear her music all along the way. Would you consider the audio edition of Society's Child to be better than the print version? How can you possibly beat a well-read autobiography about a musician when that artist performs the songs as she tells the story. Well-read, naturally beautifully performed. What was one of the most memorable moments of Society's Child? When she described how she came up with her hit "At Seventeen." Where does Society's Child rank among all the audiobooks you’ve listened to so far? This is one of the most engaging nonfiction books I've read. Janis tells the story of her life, her music and the music industry. Nicely written, beautifully read. One aspect that really set this one apart for me was the natural way that Janis sings and plays the guitar at the beginning of every chapter and throughout the book. It has the feel of sitting in your living room and having Janis tell you her life story. Amazing! I've been a fan of Janis Ian's music since 1967. However, I knew precious little about her personal life. Janis lays out key events in her life, good and bad, without whining about the bad or over indulging in her success. Hers is a life lived out loud without regrets. In the end, it is a story about her music (which clearly is in her DNA) the power of the human spirit and the power of music. Book opens with Janis telling the story of performing Society's Child in front of an audience with the small number of racial bigots heckling the 15-year-old star. One of the best books of the year for me. Janis Ian’s narration is really a performance. She has a wonderful voice for narrating, and whenever she is talking about a particular song, she gives us samples of the song by singing it and accompanying herself with her guitar. It is really a performance. I loved this book and wondered what had happened to Janis Ian. She has had a fascinating life and she's very positive about her life. Awe-inspiring. Who knew what an amazing life Janis has had? What made the experience of listening to Society's Child the most enjoyable? The musical intros to each chapter and the fact that janis did her own narration. I didn't know of janis' career before "at 17" so her earlier work and in particular the controversy surrounding society's child was really interesting. What other book might you compare Society's Child to, and why? I can't think of another autobiography that compares to this. I mostly found the book poignant. I laughed and cried a little but it was the story that kept me rapt. Her candidness about child sexual abuse was expressed matter of fact-ly without seeking pity or apportioning blame. I could not relate to her having relationships with men and I would have liked a greater analysis of her to journey to Pat. It's a first rate autobiography. Kept me engrossed. It's in a class of its own because I've come across no one like Janis Ian. She's a one off! There are many interesting moments. Her early involvement with Internet auctions to raise funds for a scholarship foundation were fascinating. There were many. Abuse by her dentist and the death of her mother were particularly emotive. Janis Ian has an astonishing story to tell and listening to her narrate the audio version of her book made it all the more extraordinary. She recounts the milestones in her eventful life with candour and often humour. I knew little of her personal story and this book was compelling. Her unconventional upbringing, astounding musical success as a 15 year old, the nature of and the way she dealt with various types of abuse, her personal relationships...the list goes on and this is before considering her creative gifts as a writer, singer and songwriter, her influence on and involvement with the music industry and the way she embraced early Internet opportunities. The book took me by surprise. It's a very well written ride through the numerous ups and downs of a colourful life. Unlike many half baked so called 'celebrity stories' this lady, now in her early 60's, actually has a meaningful story to tell. I enjoyed it. Wow to me Janice Ian was the singer of the hit song 17, in this book of her life she is so much more. What a life, I am very glad she told her story. Thank you Janice for sharing your life story. When I was 17 years old a girl friend gave me the album At Seventeen the song is a girls point of view of the world it changed my male perspective of the world and has been with me from LP to tape, CD and MP3 accompanying me through my life like so much music; but of the girl that wrote those songs I knew nothing, so when I heard that she had written her biography I decided I had to listen to it. Well it was great, sad, interesting, and entertaining. (I invited my wife to hear the story with me and she loved it though she is not as interested in her music as I am). One of the things I love is that she introduces some of the chapters by singing the song or song she was working on in that period. It is a very personal and candid story that meanders like all our lives through highs and lows and the particular idiosyncrasies of her times. I loved the young girl that sang to me. I respect the woman she became. Poor old Janis, she has had a very interesting life, it certainly wasn't what I was expecting, more of a fascinating that uplifting story. What does Janis Ian bring to the story that you wouldn’t experience if you had only read the book? It's an exhilarating, depressing, exciting, inspiring story of a woman gifted with a wonderful song-writing talent. Reading the book would have been a pleasure, of that I am sure. Now imagine for a second the woman herself telling her story to you. Over dinner, while commuting, in the park. Singing her best songs to you, playing her father's Martin guitar. That's Janis Ian reading her autobiography. 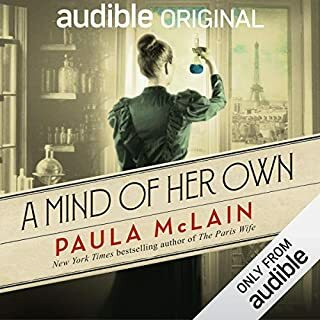 If you want an audiobook that will get stuck in your heart for the rest of your life, this is it. Janis has quite an amazing story. I rarely read or listen to biography but I'm glad that I listened to this. As well as her life she spoke about much of her music with snippets from a fair selection of her songs. 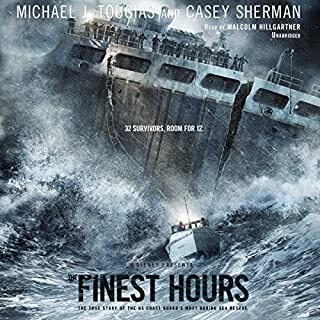 I have to give this 5 stars. An astonishing insight into the music industry. Astonishing, amazing, I loved this book. I've been a fan of Janis Ian since first hearing 'At Seventeen' and listening to this book (narrated by Janis herself) reminded me how much I love her voice. Each chapter is preceded by a short burst of Janis singing - one advantage this book has over the written word. This audio book also won a Grammy award (beating Michelle Obama) - I didn't even know there was such a category. As soon as I finished it I went straight to i-tunes and listened to Night Rains - one of my favourite albums. There are some great videos of Janis on her website. I regret that I've never seen her live. Hopefully she will make it back to the UK before too long. I didn't know this amazing singer-songwriter until this book. She is truly a brilliant mind, ahead of her times in thinking. And you get to hear her songs too. Thanks for this experience.